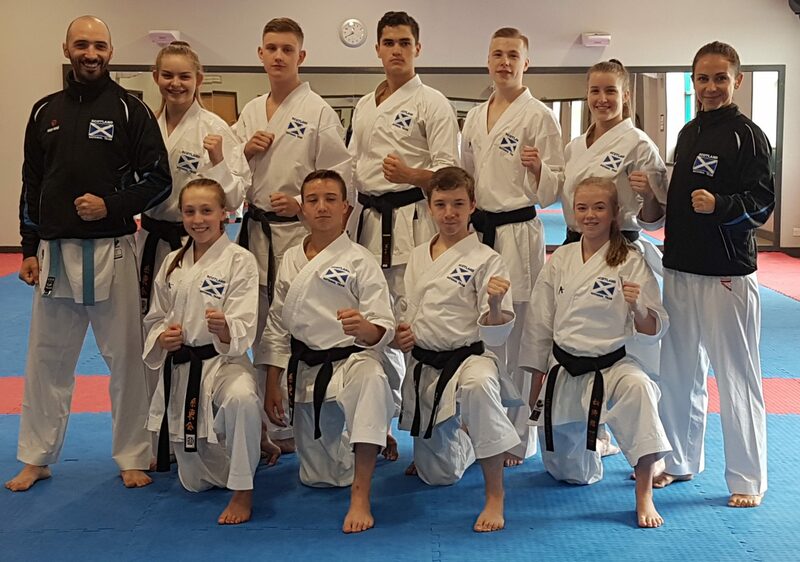 Shitokai Scotland was represented on the World Stage in October 2017 after nine students were selected for the National Team. The nine athletes made up almost half of the national team that headed to Santa Cruz to compete in the highest level of competition organised by the World Karate Federation. Called up for the national team were: Amiee Pollard, Alex Marshall, Matthew Chalk, Emma Ruthven, Niamh Junner, Jonathan Gilmour, Chris Scott, Dylan Rush, Heather McIlraith and Stephanie Connell (Coach).